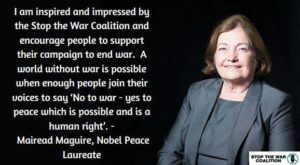 ‘I am inspired and impressed by the Stop the War Coalition and encourage people to support their campaign to end war. A world without war is possible when enough people join their voices to say “No to war – yes to peace which is possible and a human right”‘. 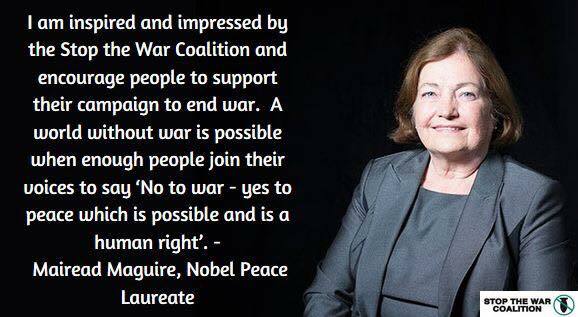 Become a Stop the War member today and be part of a mass anti-war movement.